Last week the German supermarket chain Edeka cooked up an unannounced demonstration of the diversity in the German food-supply chain by removing all products from countries other than Germany from the shelves of its Hamburg store. 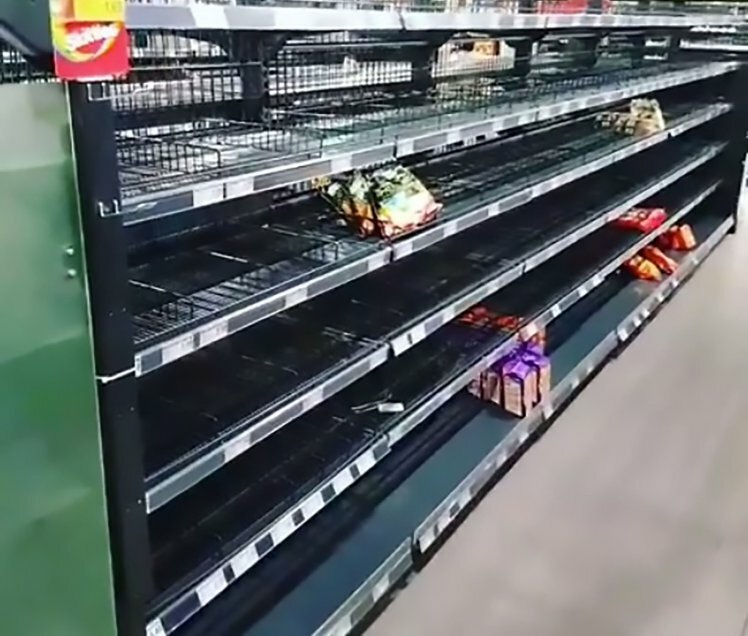 Edeka’s empty shelves show what supermarkets would look like without foreign-made foods. selection of food choices they largely take for granted. Edeka’s campaign surprised not just shoppers but also German and international media as well. After all, taking a stand on controversial political issues is not what’s usually expected of one of the world’s largest corporations. Headquartered in Hamburg with over four thousand stores, Edeka is the second largest supermarket chain in the world in terms of annual revenues. This is the kind of corporation that, at least in American terms, one would expect would play it safe when it comes to controversy. It’s clear that the social provocateurs and the out-of-the-box marketers hiding out in Edeka’s corporate offices made sure that the messaging to shoppers and the media would be clear, unambiguous, and thought provoking. Prominently displayed near the empty shelves were signs that cleverly signaled the dual messaging on diversity that the corporate giant aimed to communicate to its customers. With signs that read “Our range now knows borders,” “This is how empty a shelf is without foreigners,” “This shelf is pretty boring without diversity,” or “We will be poorer without diversity,” Edeka squarely thrust itself into the simmering debate in Germany and abroad on Chancellor Angela Merkel’s open-door policy for refugees from the war-torn countries of Africa and the Middle East. Edeka’s surprise display of solidarity with the reality of diversity and the changing face of German society in light of Germany’s acceptance of more than one million refugees and asylum seekers from Syria, Afghanistan, Iraq, Iran, Eritrea, and Albania was met with decidedly mixed reviews. Hailed by many for its social and political boldness but dismissed by others as a cynical marketing ploy, Edeka joins other international retailers like America’s Kenneth Cole shoe company and Britain’s United Colors of Benetton in exploiting their commercial bully pulpit to try—often with clever humor—to tip the scales toward a more tolerant and just social compact. I, for one, applaud Edeka for this gutsy move, for getting out in front of a difficult issue, and for planting a marker that tells its customers just where this corporate giant stands. We need more cleverly conceived campaigns like this one—especially in America and especially now.